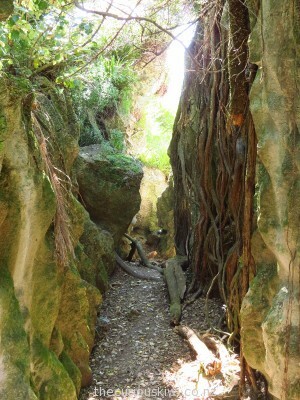 The Labyrinth consists of a maze like pathway through limestone rock formations. 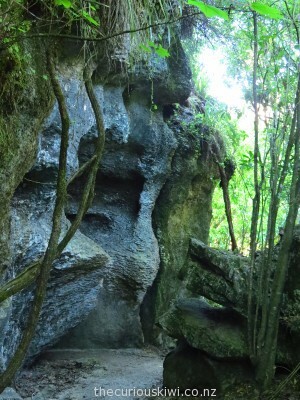 Pick up a brochure at the entrance (or Takaka i-SITE), it helps you find formations that to someone look like The Kissing Pigs, a Troll Bridge, Stegosaurus and plenty more. 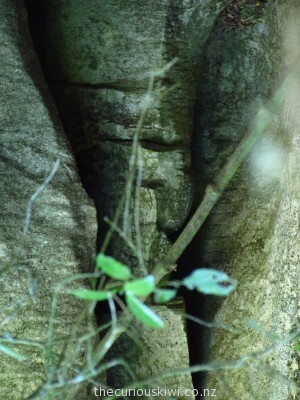 We’re wondering if the person who identified the formations was high on something other than life at the time. Then there’s the smurfs and plastic toys along the way, we’re probably just not imaginative enough. 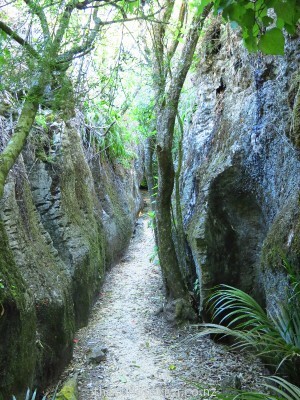 We unreservedly recommend a visit to Grove Scenic Reserve. 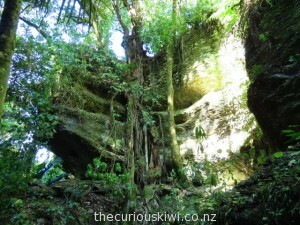 Walk a short distance through a green forest clinging to limestone blocks strung with rata roots. 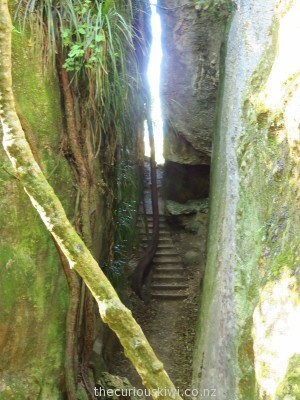 Walk through limestone crevices, up the stairs and then step out to see fertile farmland and Pohara beach below, it’s a magical little reserve. 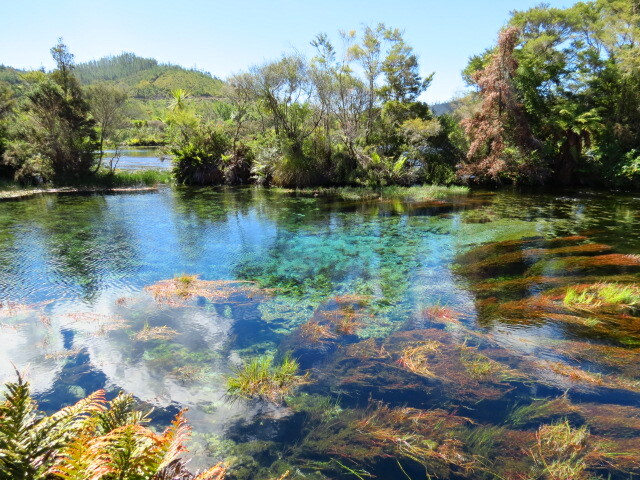 Wondrous because it’s the largest fresh water spring in NZ and the water is incredibly clear. According to DOC clearer water is only found beneath Antarctica’s Weddell Sea. It’s an easy flat walk to the viewing platform and there’s information panels along the way. Toilet facilities. (Free) Note: View the water only, the area is held in high spiritual regard by Maori, no contact with the water is allowed by any person or piece of equipment. 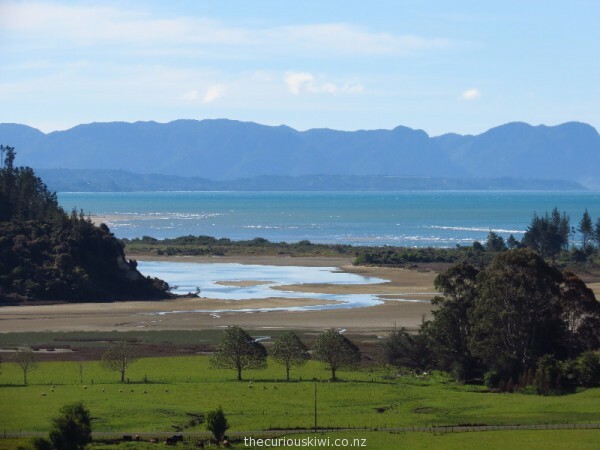 This entry was posted in Marlborough/Nelson/Golden Bay, Short Walks, & Wildlife, Unusual New Zealand and tagged Unusual New Zealand, walks in Takaka by thecuriouskiwi. Bookmark the permalink.